2015 looks set to be the Year of Training for the glass and glazing industry. One indicator of greater confidence in economic recovery is an increased investment in training. There is an argument that companies should continue to focus on training during a recession, but training budgets are often cut during such periods. 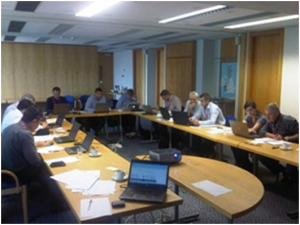 Based on our own Product Knowledge training courses, 2014 brought an upturn in the number of participants. Some companies were even willing to send several attendees on the same course, even if it meant two or three days away from their businesses. Another encouraging sign last year was the willingness of several parts of the supply chain to commit to training. System companies, fabricators and installers were all well-represented on courses last year. Based on registrations to date, this trend is anticipated to continue this year. With skills shortages highlighted as a major concern in the construction industry, 2015 could be the Year of Training in the fenestration industry. Now is the time to tap into the Pilkington knowledge base and sign up for one of our training courses.